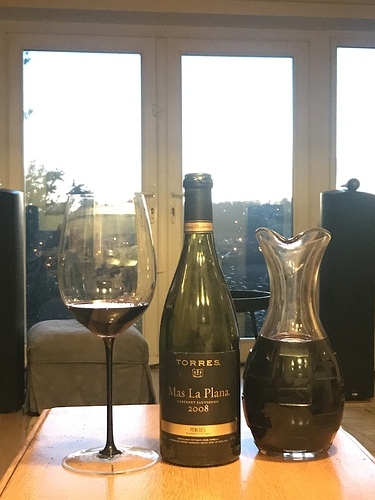 Torres Mas La Plana 2008. Fantastic Spanish Cabernet Sauvignon led wine, I drank a lot of this in the ‘90s, then somehow lost touch with it. Spotted this 5 or 6 years ago in a merchant in Ilkley and picked up 3, this is my first of the three. 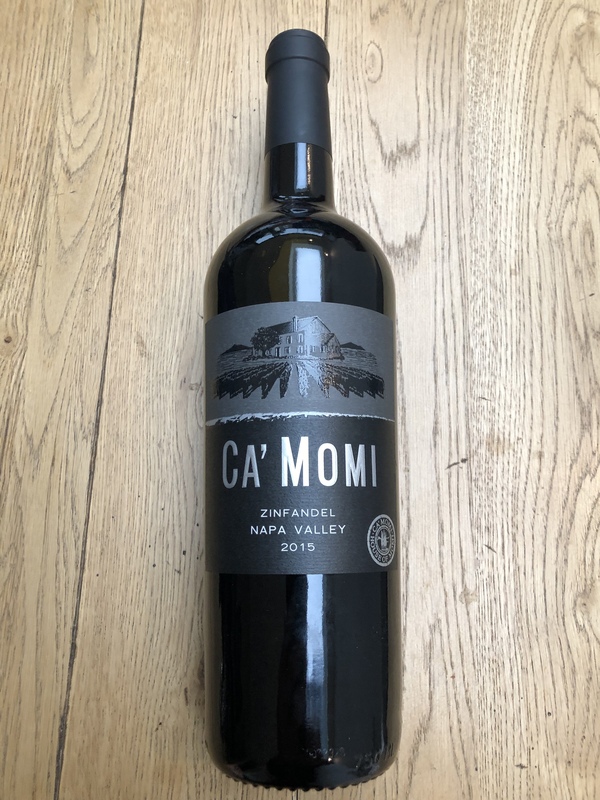 Warm climate Cab-driven wine, herbs and cedar covering plum and cassis on the nose, a rich palate, strong plum, blackberry, raspberry, hints of cedar, liquorice, strong tannins and acidity, white pepper and cinnamon, lovely perfume of plum and cassis lingers. 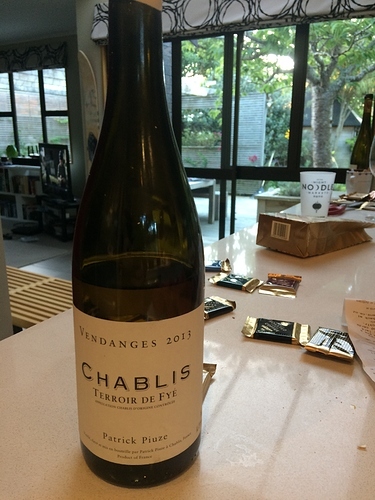 Richness of a warm climate wine, but classy balance of tannin, acid and fruit, sweet fruits, but not jammy. Seriously lovely wine. Expensive, but I don’t think you’ll find a better wine at the price. This is a lovely wine. 8years old Spanish wine Grenache/Syrah from Priorat region by Mas Martinet. Beautiful bouquet of leather and blueberries. On the palate voluptuous rich dark berry fruit pastille flavours, Not the most complex wine, but a real sophisticated fruitbomb and lovely with tonight’s spaghetti bolognaise. 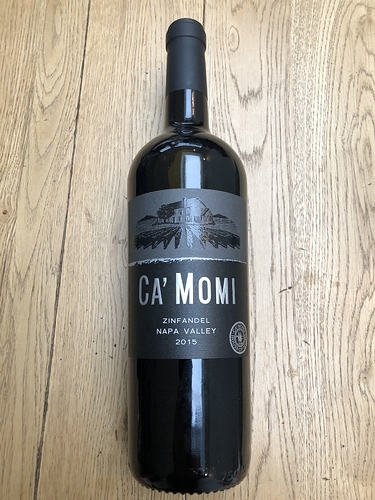 This Zinfandel can only be described as DELICIOUS, I shall be buying some more .I’m not sure how readily available it is as I bought it from an excellent independent local wine retailer but I highly recommend it if you see it. This was lovely today. 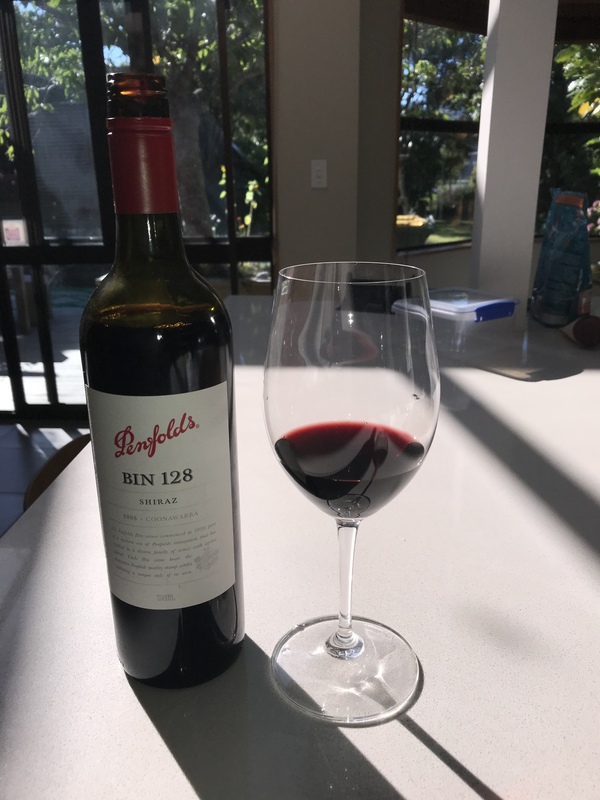 2008 Penfolds bin 128 Coonawarra Shiraz. Still has a deep colour with some brownish edges. 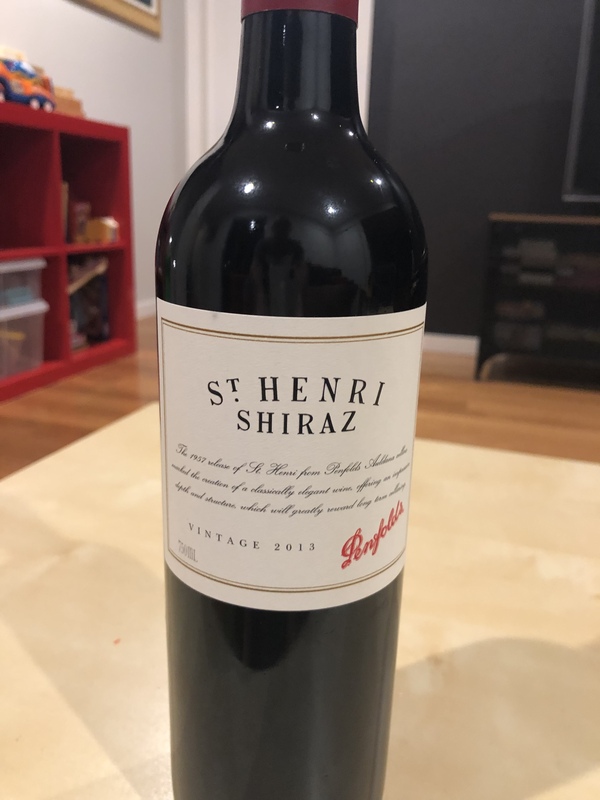 Medium bodied and refined for an Aussie Shiraz with eucalyptus, blackberries and plums on the palate. Very svelte tannins and no hard edges. Good with Chilli Con Carne on a warm Wellington evening. 2013 Chablis from a French Canadian Patrick Piuze. Village level wine terroir de Fye. Almost golden colour due to age. Tastes like flat champagne with brioche and hazelnut notes. Round and buttery in mouth. Perhaps past it’s best but good with salted caramel chocolate after a hard days work. Amazing deep colour on those wines. Penfolds St Henri, rich deep Shiraz. My favourite red. 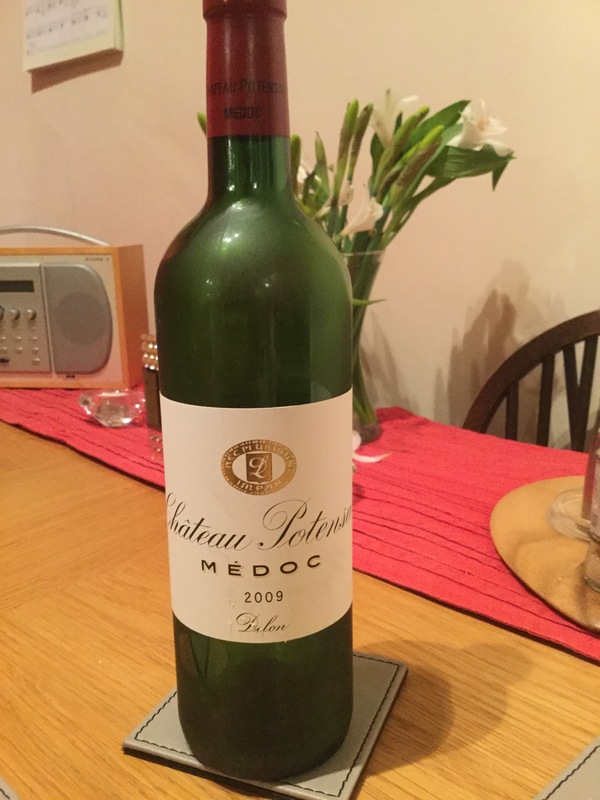 Snap, although a later vintage, the third bottle from this case, also brought en primeur, drank with roast lamb on Saturday. 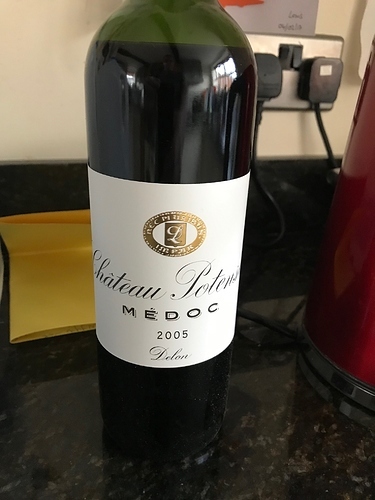 The 2000 vintage of Château Potensac, along with Lagrange and Poujeaux was my first introduction to buying en primeur, sadly I only have 3 bottles of the Lagrange left. Nowadays I tend to stick to Rhône if buying en primeur. wonky photo Marlborough sounds on fishing trip. 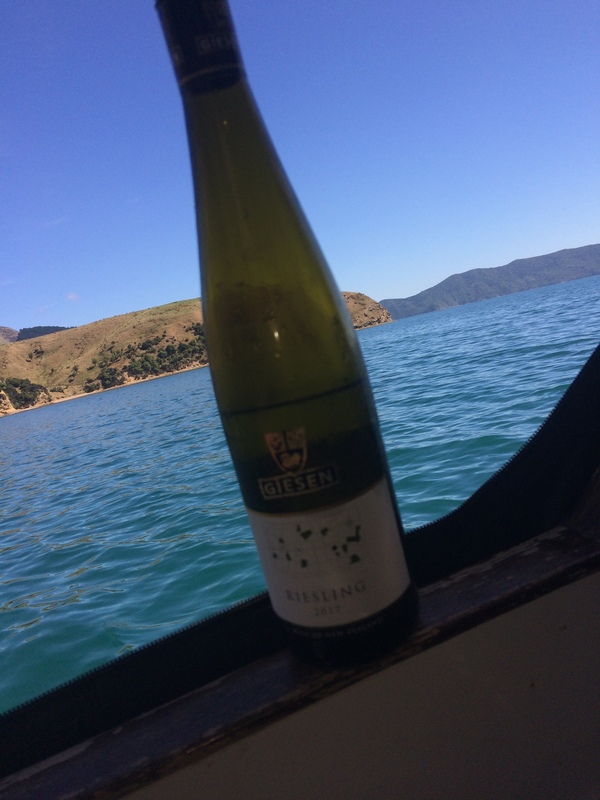 Giesen Riesling. Medium sweet but excellent after a days blue cod fishing. 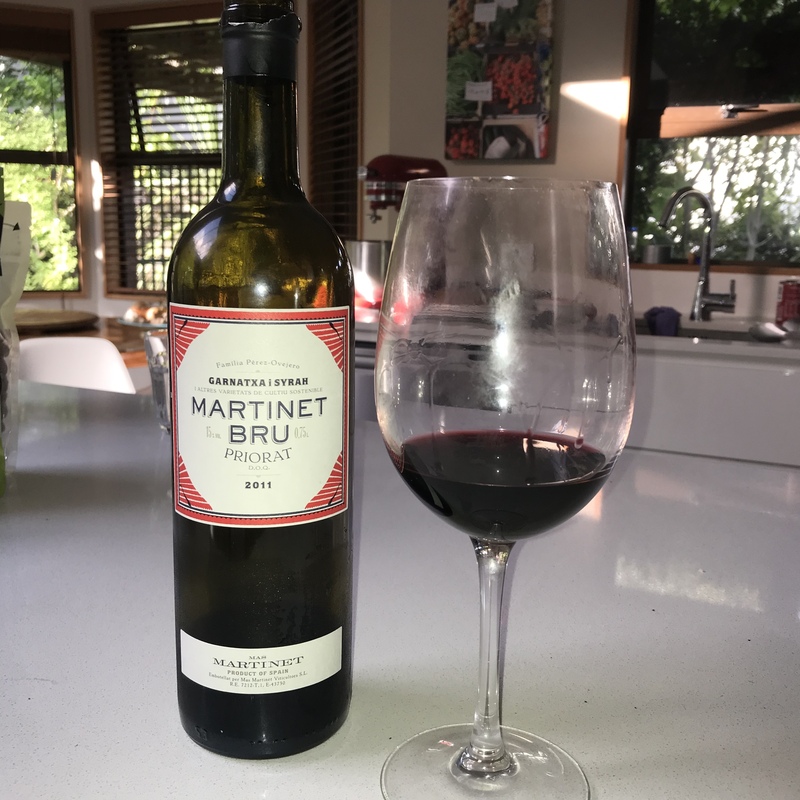 It is good as a sipper but goes well with Panko bread crumbed cod. And Stella beer! 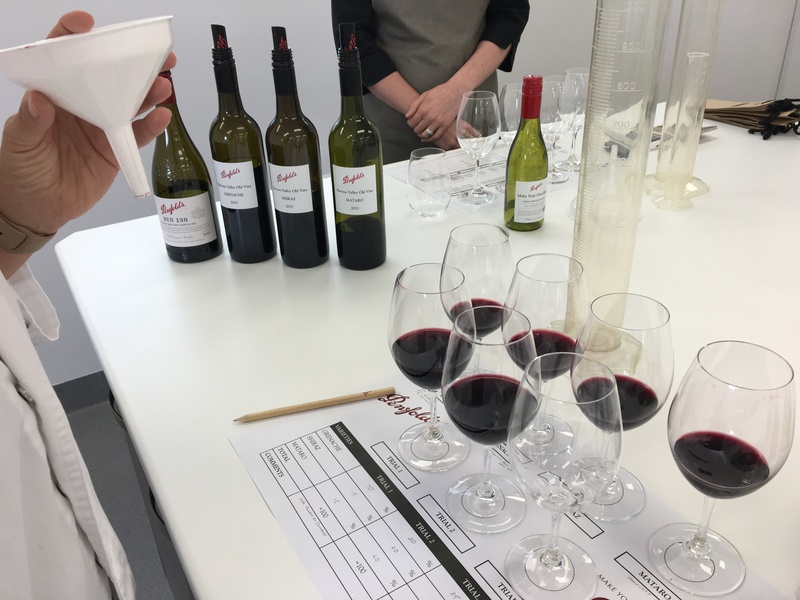 I moderated a number of tastings at Prowein, the world’s biggest wine expo in Dusseldorf, over the last couple of days. This was definitely a highlight. It’s sometimes a bit awkward giving your professional opinion when the winemaker and owner is standing next to you, but Marco dal Forno is one of the most humble and least arrogant superstar winemakers I’ve ever met. Frankly he could justify a lot more arrogance! 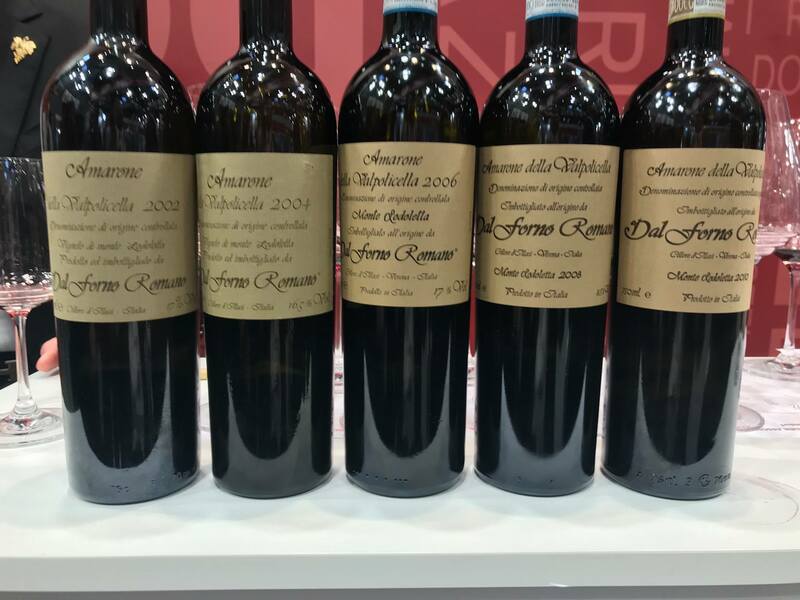 In all honesty Amarone is not my preferred wine style. I’ve had a few too many bad ones (raisiny, volatile acidity [vinegar] - which some people say is an inevitable consequence of the process, and to be embraced, but these wines disprove both of those things - and cooked tastes that cannot handle the usually very high alcohol levels (the particular yeast in this part of Valpolicella is capable of fermenting up to 17.5%)). Dal Forno Romano just shows zesty freshness and absolute commitment to no oxidative cooked tastes whatsoever. These wines are built for the (very) long term - only the 2002 (in fact a dreadful difficult rainy vintage year) is accessible now, and the 2010 is a tannin-monster. 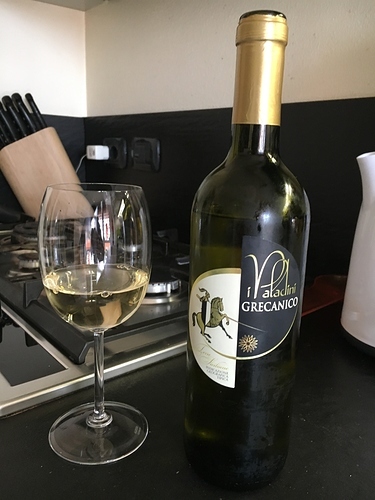 But all the elements are there, and the common theme is a complexity of flavours - almost quinine like herbiness, with plush fruit and a velvet texture and this piercing freshness. They don’t taste alcoholic at all. I didn’t spit any of them (to my shame! But Marco’s pleasure, and it was my last event of the day). Of course, there’s always a catch, and the catch here is about €280 a bottle. But that’s rarity for you. Don’t suppose I’ll ever really be able to afford actually to drink it. But I’ve got Marco’s business card, and an invite, which is the next best thing!! 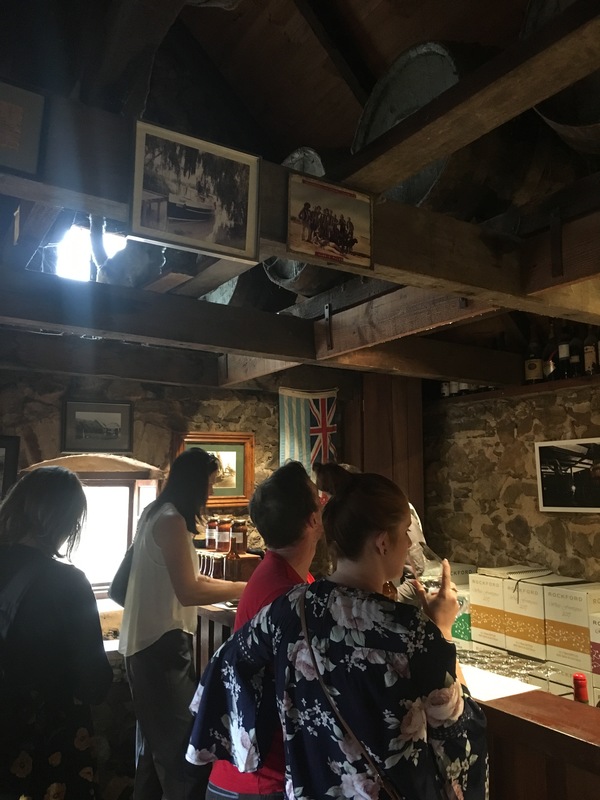 Wow - I don’t know much about Australian wines but if were ever to visit, Rockford (see my pic higher up the thread) would be the one…! 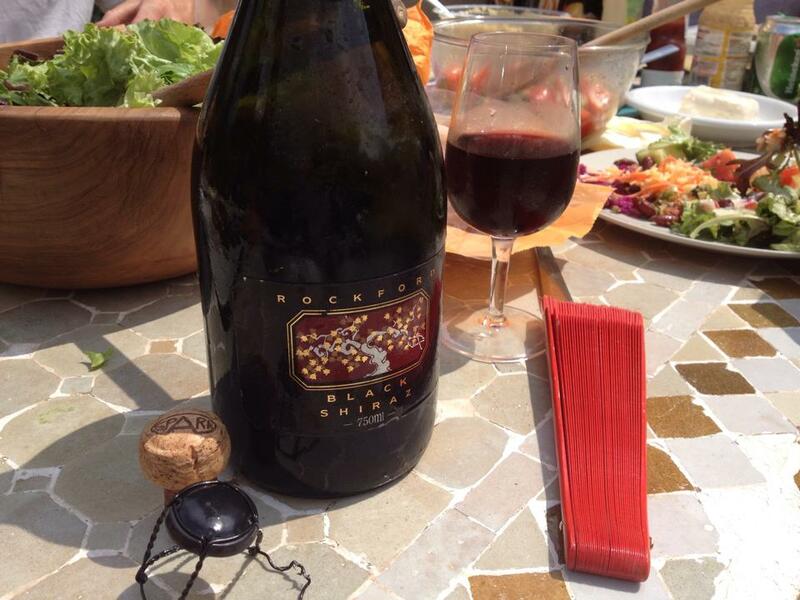 Robert “Rocky” O’Callaghan is an absolute legend of Australian winemaking. The Basket Press Shiraz is a monumental wine, but even rarer is the Sparkling Black Shiraz, without doubt the finest example of the style (which I have to admit is not for everyone, but there is no better barbecue wine). I really like his Semillons and Rieslings, too. I once gave Robert a lift from Bristol to London (for which I ended up getting paid handsomely in unused samples!!). We had to stop at a collection of different pubs en route for him to try the local ale. Fine fella.